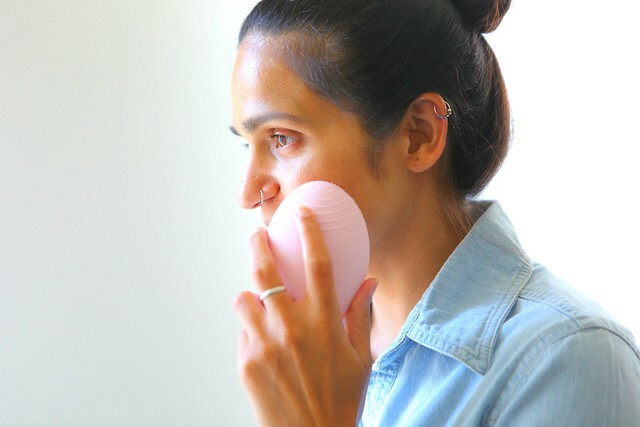 The Swedish company Foreo contacted me recently, asking if I’d be interested in trying their facial-cleansing device, the Luna. As I was already looking for something to adding to my cleansing routine, I agreed to try it out and write a review. LUNA is made of silicone and has very soft bristles that are there to cleanse and gently exfoliate your skin. It comes in 3 colors, one for each skin type. Pink is for sensitive/normal skin, blue is for combination skin and white is for ultra sensitive skin. While cleansing it generates tiny vibrations which help you get rid of dead-skin cells and excess make-up, in turn allowing your moisturizer and serum to get absorbed better and leaving your skin smooth, soft and clean. It is like giving yourself a mini-facial daily. To use, you would apply your cleanser the way you do normally, then wet the LUNA a bit and start massaging it on your skin in circular motions. 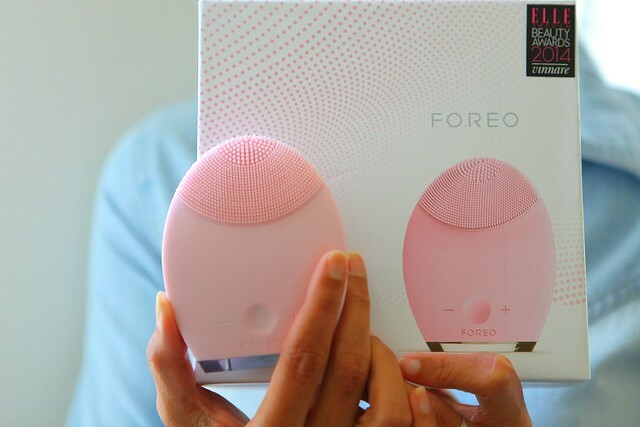 It automatically stops vibrating after 3 minutes so you cannot 'over cleanse' your face. As it's 100% waterproof you could even use this in the shower. I use it once a day either during the morning or evening, depending on how much time I have. There are two modes available on the LUNA, where the first one is for normal cleansing and the second one is their anti-aging mode. The difference is between the vibrations per setting. You can also customize these with the + and - buttons. I use the first setting to cleanse my skin and the anti-ageing mode to massage products into my skin. 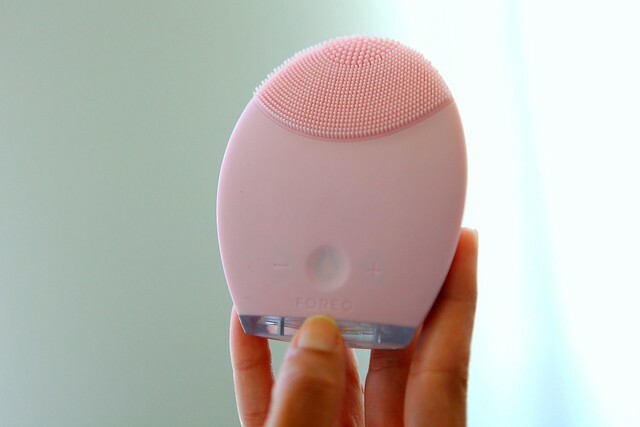 The FOREO Luna has helped to keep my pores clean and skin soft. I also found it to be more sanitary than the other brush cleaners in the market. Here's you chance to buy it for 10% OFF the retail price along with FREE SHIPPING - Use the code TANVII at checkout. The code expires on August 18th 2015, so hurry up! P.S. This product was provided to me for the purpose of this review.